Stretch tent material from our innovative fabric gives the unique strength and stretch of the fabric. This means their capacity for transformation and reinvention within a space is exceptional. 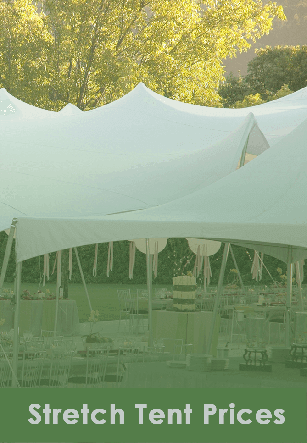 Larger tents can also have sides up or down. poles can be re-positioned to accommodate larger crowds. 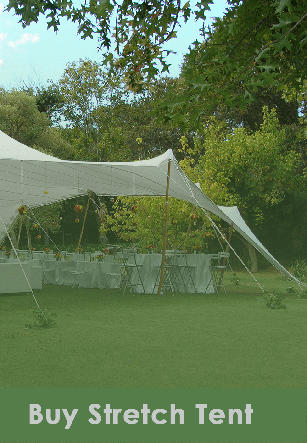 Unique tent shapes we can create and supply. 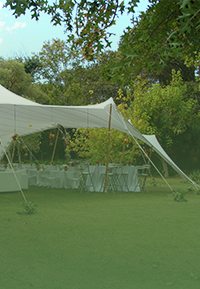 we can also place stretch tents in almost any situation. as freestanding units, or attached to existing structures. All our stretch tents are heavy duty material to ensure long lasting of our products. indoor and outdoor vinyl, suitable for covering campers. pickups, dumpsters it’s very strong and high-quality material. We produce and provide high rated accessories to our customizers. from aluminium poles that are long-lasting. we have special fittings, ropes and pegs as well. We have different dimensions of poles. that depends on the size of your stretch tent material and budget. Stretch Tent innovation manufacture different sizes of stretch tents. we cater for any event either indoor or outdoor. we have assorted sizes of stretch tent material. that start from 5m x 10m which accommodate up to 100 people. and we have larger stretch tents which accommodate up to 300 people. Customers can request the customized designed for their choice. Stretch Tent innovation manufacture different sizes of stretch tents and stretch tent material. we cater for any event either indoor or outdoor. we have assorted sizes. our stretch tents start from 5m x 10m which accommodate up to 100 people. and we have larger stretch tents which accommodate up to 300 people. Customers can request the customized designed for their choice.